WORLD - Model Chantal Monaghan is behind-the-scenes in photoshoot mode with SHAMAYIM and it looks marvelous. For more FashionTV anytime & anywhere, click here: Itunes: http://apple.co/2oxd0Bo Google Play: http://bit.ly/2n6KruT http://www.fashiontv.com FACEBOOK: http://facebook.com/FTV INSTAGRAM: http://www.instagram.com/FashionTV CHANNEL https://www.youtube.com/c/FTVmain FashionTV’s network brings you fashion in new and imaginative ways every day online! 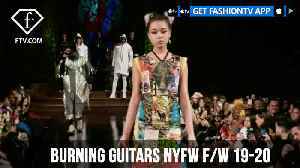 From the front row of fashion’s biggest shows and runways, to highlights of all the best fashion stories from around the world, to the gorgeous models that make the industry tick, FashionTV is there to bring them to you first! 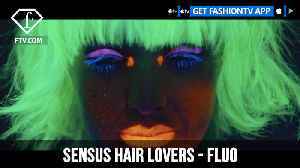 The total source for worldwide fashion coverage, FashionTV has new uploads every day with 24/7 access to content for all your fashion and style needs. Join our online network and SEE it first on DailyMotion with FTV! PARIS - Model Kat Banshchikova talks all about her Instagram feed and what inspires her Instagram stories, posts, and her likes and dislikes at Paris Fashion Week Fall/Winter 2019/20. For more..
PARIS - Model Josy Monteiro talks all about her Instagram feed and what inspires her Instagram stories, posts, and her likes and dislikes at Paris Fashion Week Fall/Winter 2019/20. 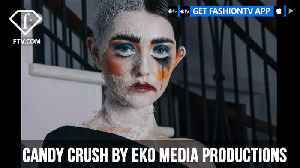 For more..
WORLD - EKO Media Productions presents Candy Crush directed and edited by Marc Guillaume featuring model Avalon Phillips. Styled by Tankovitz, Produced by Nina Poronik, and Camera Assistant Walter..